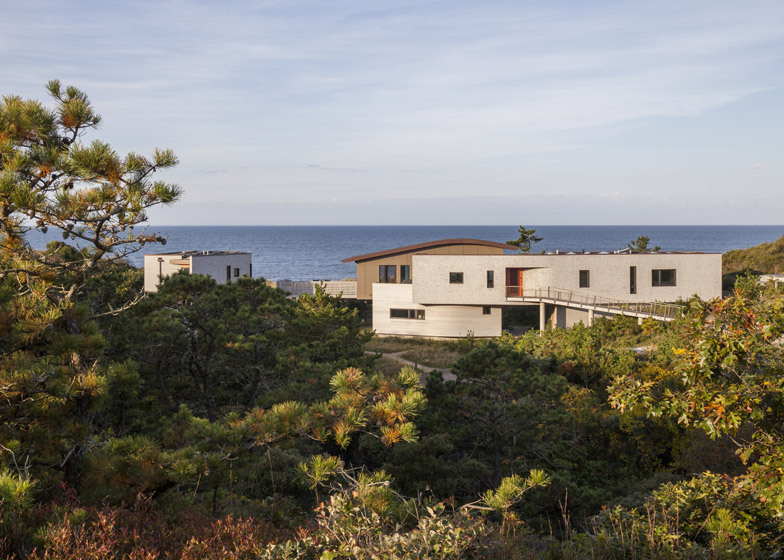 This beach house by Ruhl Walker Architects is raised above the landscape, helping it to have a minimal impact on the fragile coastal ecosystem. 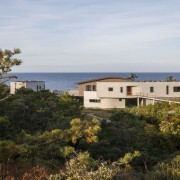 Encompassing 2,800 square feet (260 square metres), the House of Shifting Sands sits on a sloped waterfront site in the small Massachusetts town of Wellfleet, located in the hook-shaped peninsula known as Cape Cod. The home is surrounded by miles of undeveloped land and scrub pines. 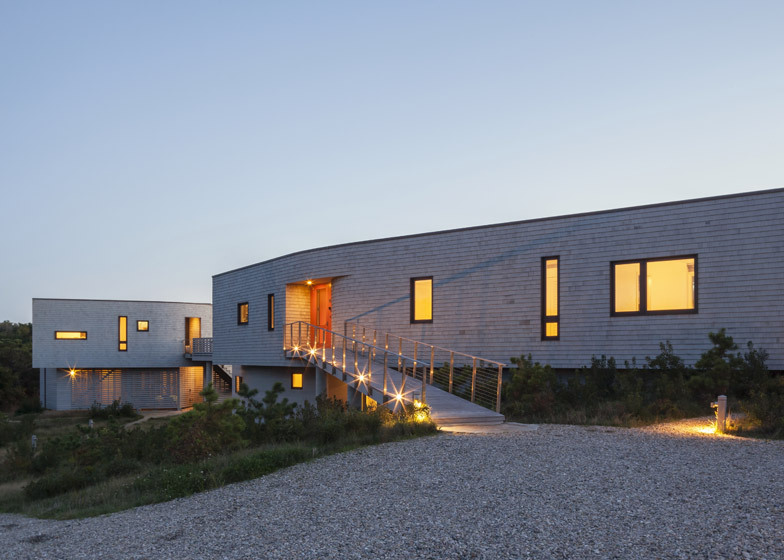 Ruhl Walker Architects was charged with creating a building that honoured environmental concerns expressed by the client, the town’s conservation commission and the US National Park Service. This prompted the team to plan a building that “appears to float out of and above its shifting, sandy site”. The house was designed to be provide all of its own energy. Power is supplied via solar panel arrays located on the roofs of the main house and studio. There are also high-efficiency air-to-air heat exchangers and energy-recovery ventilators. (source).